Falcon Motors offers car and van MOT testing in Newark. Book online today using our MOT booking system 24 hours a day, 7 days a week. Its never been easier to book your MOT test online. We also offer car and van servicing, tyre fitting, air conditioning, wheel alignment, engine diagnostics, exhausts, clutches, timing belt kits and welding. Our central location makes us easily accessible for car and van owners needing MOT testing who are coming from Newark, Lincoln, Sleaford, Grantham and Mansfield. The proximity to the intersection of the A1 and A46 gives easy access to Falcon Motors for drivers coming from further afield who need running repairs or replacement tyres. Falcon Motors offers Class 4 MOT Tests in Newark for cars and vans of all makes and models. We also offer Class 7 MOT Testing for larger vans and light goods vehicles. With our easy MOT Online Booking System, it is easy to book your MOT test in Newark at any time of day or night. You can choose the date and time for your MOT test that suits you best. We also have a free annual MOT text service to remind you when your MOT test is next due. That's why you should choose us for all your MOTs in Newark. Book your car or van service online today. Falcon Motors in Newark offers a choice of service levels designed to keep your van or car running smoothly. 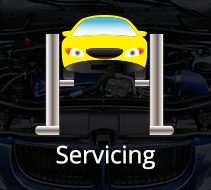 By keeping your car or van regularly serviced, you help to prolong the life of your car or van. Servicing your car or van can also help your tyres to last longer and aid your fuel economy. Remember you can book your car servicing in Newark 24 hours a day, 7 days a week. Falcon Motors has a huge range of car and van tyres in Newark available to order. Give us a call on 01636 677177 or send us a message using our Contact Form to order your new tyres and book your tyre fitting. 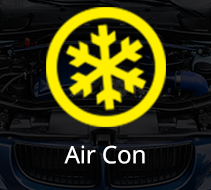 Bring your car or van in to us at Falcon Motors in Newark to refresh your air conditioning and keep yourself cool in the heat of summer and warm in the deep of winter, all the while keeping your windows mist free. Book your Air conditioning service online now. Are your tyres wearing unevenly? Do you feel your car or van pull to the side whilst driving? If so, you probably need to book a Wheel alignment appointment at Falcon Motors. We will check and re-align your wheels using our specialist Wheel Alignment technology. 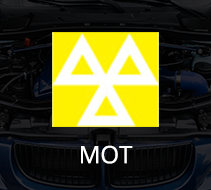 For more information on the MOT or all of our other services in Newark on Trent, please call 01636 677177 or send us a message using our Contact Form. 5 star service from start to finish. I have used Falcon Motors many times through my business and am very pleased with the service provided. Highly recommended. Easy to book online and reminders by text. Always excellent service from start to finish and very straightforward - would definitely recommend! Staff friendly and professional, a pleasant experience start to finish!